Tuttle and Tuttle Group proudly announces the launch of our new, user-focused website. Scott, Jordan and I look forward to better serving our real estate clients in Central Oregon with an improved website with advanced search capabilities for our users. The launch of our new website makes it easier to search for homes sale in Central Oregon, read quality blog content about the industry and trends in our community as well as provides sellers with an excellent resource as they prepare to list their home. The launch of the new Tuttle and Tuttle Group website came as a result of our dedication to helping unite the right homes with the right buyers. 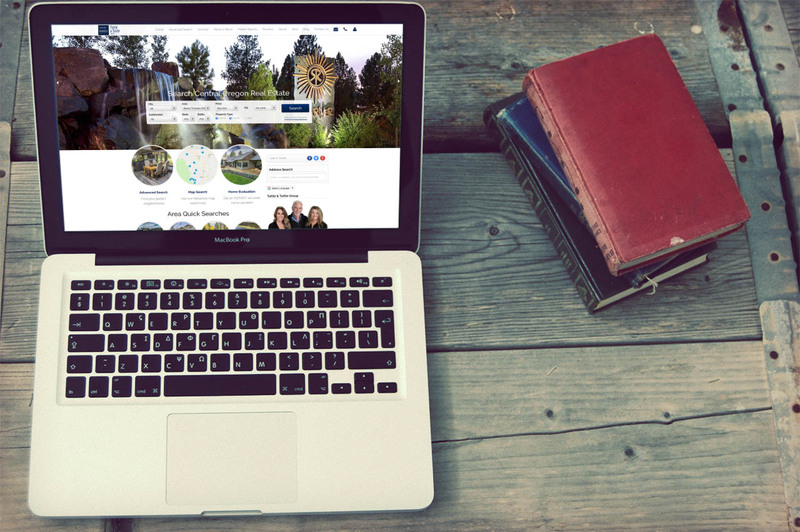 Having a user-friendly website for our clients to easily navigate stood out as a priority for our business and we hope you’ll take the time to explore the functionality as you search for luxury real estate in Bend, Sunriver, Redmond and all throughout Central Oregon. Quickly search available real estate by area — from Bend’s westside to waterfront properties in Sunriver. Tuttle and Tuttle Group has always focused our efforts on providing outstanding customer service and the launch of our new website furthers that mission. We specialize in waterfront, golf course, luxury homes and resort properties and our new website makes it simple for home searchers to find available properties within these categories. The layout of the listings provides large, beautiful photographs that give you an idea of what you can expect from life in your new home. After finding an extraordinary home you’d like to call your own, use helpful website tools designed to make your experience great. Use the Mortgage Calculator and find out what your estimated monthly payment could be for the Central Oregon home of your dreams. Along with a new website, we’re also pleased to debut which a refreshed, updated logo that speaks to our mission and dedication to the Central Oregon community. The new Tuttle and Tuttle Group website offers Central Oregon home sellers a variety of resources, including the ultimate marketing tool for selling your home. Our updated website includes beautiful listings, which highlight your home in an aesthetically pleasing way to attract potential buyers. The advanced search tools make it easy for buyers to find your property and the attractive layout showcases your home. For homeowners considering the sale of their home in Central Oregon, we have a tool that creates custom market reports specific to your city, area and subdivision. Get an insider’s view into home sale trends in your neighborhood and what you can expect when listing your home with Tuttle and Tuttle Group. Fill out a simple form on our website with your address and instantly find out your property value. Scott, Jordan and I proudly perform at the top of the Central Oregon real estate market through all conditions, which make us the clear choice to help you buy or sell your home. Use our newly redesigned website to search for Central Oregon real estate for sale by category or subdivision. With our quick area searches and interactive tools, you can find your dream home and connect with personable and qualified realtors to help make homeownership your reality. We look forward to serving your Central Oregon home buying and selling needs now and into the future. Welcome to Central Oregon. Welcome to Tuttle and Tuttle Group.